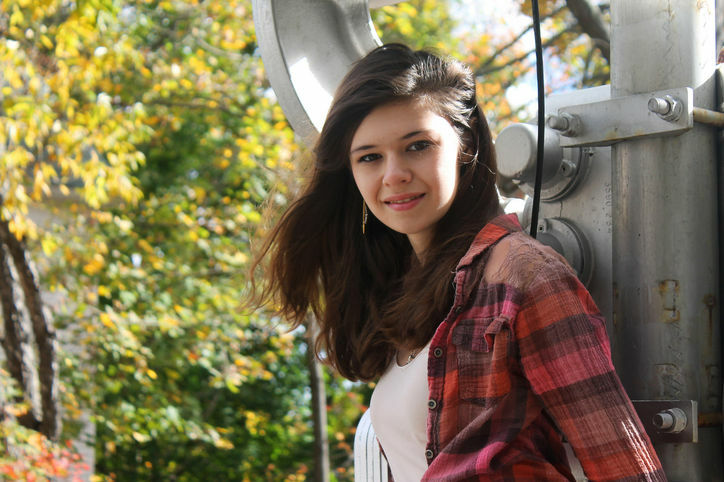 Earlier this month, transgender teenager Nicole Maines was named one of Glamour Magazine’s 50 Inspiring Women. The full title of the feature is “Hometown Heroes: 50 Phenomenal Women of the Year Who Are Making a Difference,” a huge honor for Maines who was launched into the public eye last year after winning a landmark transgender rights case. According to The Huffington Post, “The teen has received national attention for her fight to allow transgender students the right to use the bathroom of the gender they identify with,” of Maines’ courageous activism. Public restrooms – in schools, in government offices – have always existed as politically charged spaces for transgender individuals. Often, it isn’t safe or comfortable for a transgender person to use the restroom that corresponds with their gender identity, as has been the case for other students like Coy Mathis. Transgender teenagers have been at the forefront of the national conversation about gender neutral restrooms and safe spaces for trans* youth. In early 2014, the state of Maine’s Supreme Court made history when it ruled that “officials from the public school [Nicole attended] violated state anti-discrimination law by not allowing Nicole to use the girls’ bathroom,” reported The Huffington Post in February. Maines, who has been identifying as a girl since the age of 2, was previously allowed to use whichever restroom she preferred until one of her male classmates followed her in saying that he had the right to be there too. This incident forced the school administration to respond, and not in Maines’ favor. After the school began to deny Maines access to the girls’ restroom, the teen, with support from her family and the Maine Human Rights Commission filed a discrimination lawsuit. In 2014, Maines made history when she won.